I don't know about you but I don't listen to bands I "don't care for." I hate the word hate. Too strong. Especially for something like music. There are definitely bands whose music I don't want to hear, nevertheless listen to. My husband and daughter have, since Christmas, been playing Rock Band. First, it was The Beatles. Okay, I like The Beatles. Next it was Rock Band. Just a few days ago Rock Band 2 arrived. My husband always plays bass guitar. My daughter plays guitar, drums, and sings. She's excellent at all three! I love knowing she has Rock Band talent, but ooh, some of the songs just make me cringe! When it's Rock Band time at our home I take off for my study and close the door! More often than not I launch iTunes and listen to my music. So there! Most of the Rock Band songs I've heard that set my teeth on edge are heavy metal. I'm definitely not a "head banger." 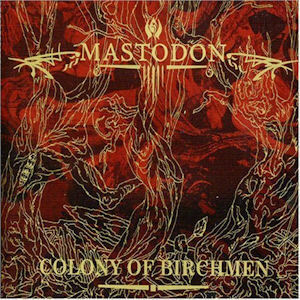 After listening to samples of several of the metal songs on RB2 I chose the most "cringe worthy" as Colony of Birchmen by Mastodon. It's nothing personal. To each their own, as far as music is concerned. I'm fine with people liking heavy metal, as long as they don't "share" it with me! The thing about favorites is they can change along with our mood, tastes, and exposure to new things. 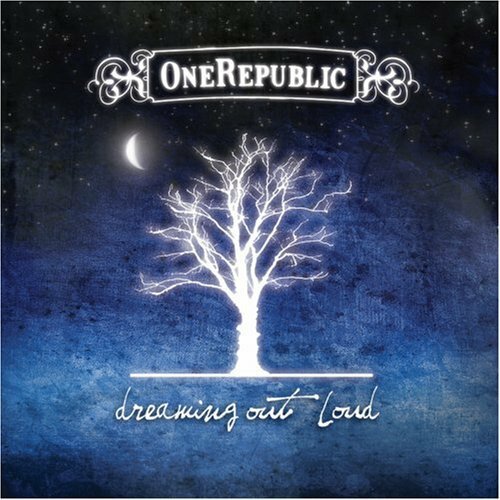 I'd say that for the last two years my favorite band has been OneRepublic. 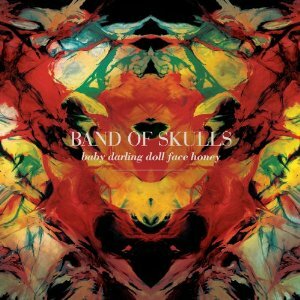 There is something about their sound that always grabs me. 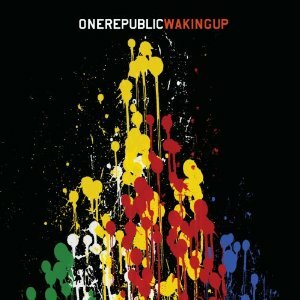 Every time I hear a hint of a OneRepublic song I say something like, "Ooh, it's OneRepublic" and I turn up the volume. The lead singer, Ryan Tedder, is writer or co-writer of just about all of their material. In fact he's written some amazing songs for other artists. For example: Beyonce's "Halo" and Leona Lewis's "Bleeding Love." He's written a number of songs for Kelly Clarkson, a favorite female vocalist of mine. He plays numerous instruments: guitar, bass guitar, piano, tambourine, glockenspiel, and drums. One of the things I love about their sound is the use of cello. It makes their sound even more singular. I could go on about the band. Can you tell I really like them? 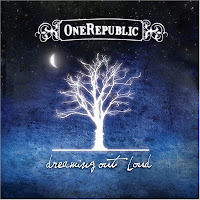 I chose a song from their first album, Dreaming Out Loud, released in November 2007. They recorded this song and later remastered it featuring Sara Bareilles. It was written as a tribute to American soldiers by Ryan Tedder, who had a friend serving overseas. This beautiful song is called Come Home <-------listen to it on MySpace Music. This artist is known for his smooth vocals and technical expertise on the guitar. He's one of my "Easy Listening" favorites. 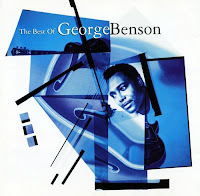 This master of jazz and R & B is George Benson and the album is The Best of George Benson. His most popular song is still Give Me the Night. <------ Watch and listen. It is GOOD! Let me start off by saying I haven't danced in ages. Oh, I tap my fingers & toes and shake my head a lot, but I don't dance. Once upon a time I did dance about the house accompanied by my doggies. Those were good times! I was happy. My dogs were happy. Life was good. (I was physically able to dance!) In trying to recall what one song I most liked to dance to one did come to mind. It's been a favorite of mine for a very long time. 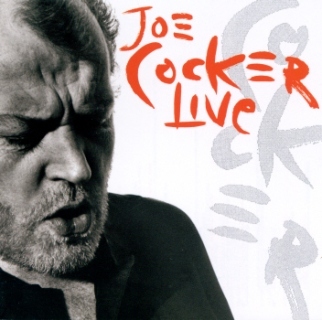 It was written by Randy Newman and soulfully performed by Mr. Joe Cocker. 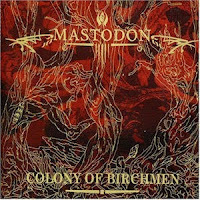 This is my favorite live album of all time. It had been even before I got to see him perform live in San Diego in the early '90s. Wow, what a great show that was! I even danced in the aisle! The word "all" makes me want to choose Rock and Roll Part II by Gary Glitter. It's known as "The Hey Song" for a reason. You got it, "Hey" is the only word in the entire song. Hey, I'm not really going to choose that song though. ;>) That would be a complete cop out. Okay, let's see. Let me think...I'm fairly confident that I know MOST of the lyrics to many songs, but do I know all of them to any? Hmmm. Definitely can't choose Bennie and the Jets. No one knows the lyrics to that one. Maybe not even Sir Elton and Bernie Taupin themselves. GREAT song though, isn't it? I'm certain you can guess the event from the song title. (That's all I'm sayin' about that!) 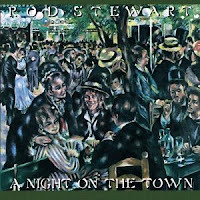 I give you, Tonight's the Night (Gonna Be Alright), by Rod Stewart from the album, A Night on the Town. 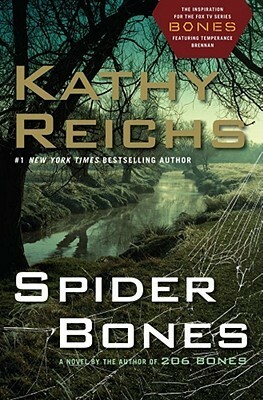 I confess my head was spinning with all of the acronyms being tossed about, but I very much enjoy Kathy Reichs' unvoiced thoughts (comments, gripes, etc. ), use of actual brand names (like regular people do), and knowledge of popular culture. She's an anthropologist, but she is hip! My family was from Hawaii and I enjoyed reading about familiar locations. I was also fascinated by how the cases intertwined and how things wrapped up. I've been thinking about this one for a few days. One song, one place seemed to edge out the others. For several years every time I listened to the artist I would get a little melancholy. There were things I loved about Portland, Oregon, but sometimes the damp, gray days kinda got to me. I was out of place there. I was still working for the same company, but the northwest region was vastly different from the southwest. I was newly single and trying to be positive, confident, and brave. Not a settled period in my life. Music seemed to affect my mood more in Portland than anywhere else I've lived. The music I bought and first listened to there is still heavily associated with the area. Even now, almost 14 years after leaving there I flash back to driving the wet roads under the gray skies to a job that wore me out. I don't hold it against the artist whose song reminds me of those gray days. She remains a favorite of mine to this day. She's beautiful and talented and soulful. She is Amanda Marshall and the song is Let It Rain (<---- video). * the video quality is horrible, but I hope you can get a feeling for her amazing talent. I wrote about my friend, Beth, on the music tab of this website. She probably influenced my musical choices more than anyone else in my life. 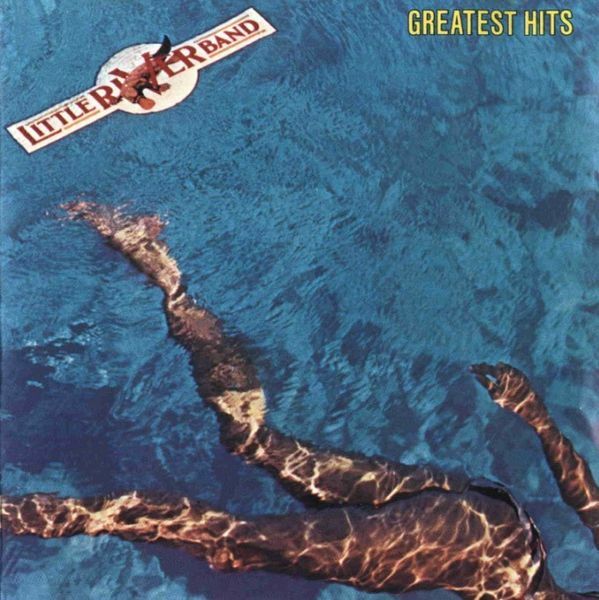 There are a number of artists, when I hear them, I immediately think BETH - AC/DC, The Eagles, Eddie Money, Foreigner, George Benson, and Little River Band. After all these years I don't have a vivid memory of her and any ONE song, but for some reason when I hear Reminiscing by Little River Band I immediately think of my friend, B! For a bonus, how could I not think of the KISS song, Beth? It remains their highest charting single. For my "sad song" I didn't need to search for a list or delve into the dark recesses of my mind to find a song that makes me sad. No, fresh in my memory is a familiar song heard on a video I watched just two days ago on Oprah. The video was beautifully done by a husband for his wife's birthday. He is fighting cancer. Between the video segment on Oprah introducing this family's struggles and watching the video he made for his wife...I was crying my eyes out. The song, Marry Me, happens to be by Train, who also performs my "happy song" from yesterday. 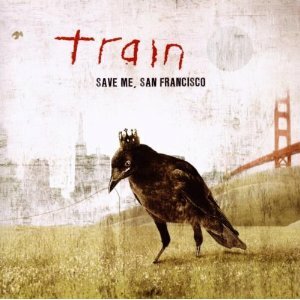 Both songs are from their album, Save Me, San Francisco, which I've had since it was released in October 2009. It is a touching song, but certainly for awhile, at least, I will associate it with Kristian and Rachel and their fight to remain together. Guh! I'm crying now just thinking about it. * I found Kristian's blog while searching for the video. It is embedded on this entry: Days that matter. The #1 internationally bestselling author of The Forgotten Garden mesmerizes readers with this haunting tale of long-buried secrets and the twists of fate that can alter lives forever. It starts with a letter, lost for half a century and unexpectedly delivered to Edie’s mother on a Sunday afternoon. The letter leads Edie to Milderhurst Castle, where the eccentric Blythe spinsters live and where, she discovers, her mother was billeted during World War II. The elder Blythe sisters are twins and have spent most of their lives caring for their younger sister, Juniper, who hasn’t been the same since her fiancé jilted her in 1941. Inside the decaying castle, Edie searches for her mother’s past but soon learns there are other secrets hidden in its walls. The truth of what happened in “the distant hours” has been waiting a long time for someone to find it. In this enthralling romantic thriller, Morton pays homage to the classics of gothic fiction, spinning a rich and intricate web of mystery, suspense, and lost love. 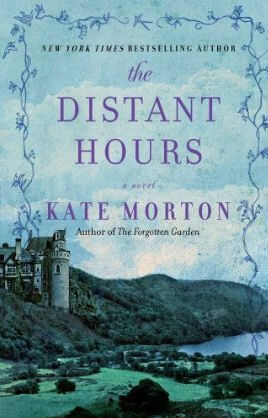 After reading a favorable review and the intriguing synopsis I eagerly anticipated reading The Distant Hours. An old family mystery, an ancient castle, a lost letter, the story behind the story—The True History of the Mud Man. Edie, a young woman working in the publishing field, learns that her "dull" mother has a history that she knows nothing of. (Her mother was a 13 year old evacuee taken in at Milderhurst Castle, the home of the author of her favorite childhood book.) The Distant Hours parallels Edie's search for answers in the present (1992) with the lives of Persephone, Seraphina, and Juniper Blythe during the years 1939 - 41. Edie uncovers some of the answers she seeks. She also finds that some things are best left unwritten. Like the true story behind the book that made her a reader. I found the story highly compelling overall but was mildly distracted by the minutiae of the Blythe Sister's younger years. I'm intrigued by Kate Morton's work in this novel enough to look into her other books: The House at Riverton and The Forgotten Garden. ...Hey, Soul Sister (<------- video) by Train. Does anybody really have a least favorite song? I'd really like to know if there is one song that meets this distinction for you. There are definitely songs (I'll be sticking with my genres of rock and pop here) that I don't ever want to hear again. There are songs that should never have been recorded. What one song is my least favorite? I have no idea. If I rate a song 1 or 2 stars it is out of my iTunes Player pronto. I keep the file, but I don't want to waste my ears on it. I haven't changed my mind on a song yet. 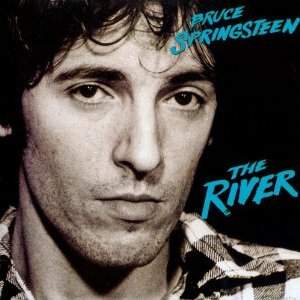 I'll choose The River. Don't get me wrong, I don't hate the song. He is an amazing performer and has been for decades. It's just what comes to mind. I hate writing anything negative about Himself, but there you are. I still love you, Bruce! I'm going to start out day one with a tie. That's right a tie. At this moment in time I love two songs equally. 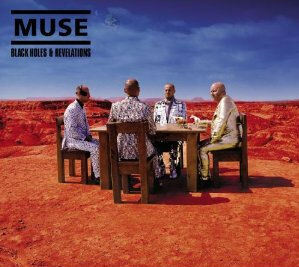 They are quite different, but I find when either of them is playing I can't help but groove to them! 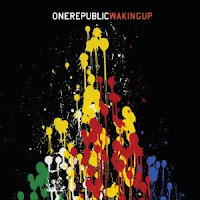 The first song is Everybody Loves Me (music video with incorrect lyrics) from the album Waking Up by OneRepublic. Finding lyrics to their songs isn't easy and each site's lyrics are different. This page has a comment claiming the correct lyrics from Guitar Hero 5. I chose those for the song's lyrics tab in iTunes. I wish the artists had the lyrics on their own websites! My friend, Paula, posted a music meme on Facebook yesterday and prompted me to give it a try. I confess right up front; I have great difficulty choosing a favorite for most things. Some of the categories just didn't fit me so I customized them a little. The challenge: write one entry per day. Come on, crank up your music and give it a go! The Picture of Dorian Gray is the only published novel by Oscar Wilde, appearing as the lead story in Lippincott's Monthly Magazine on 20 June 1890, printed as the July 1890 issue of this magazine. Wilde later revised this edition, making several alterations, and adding new chapters; the amended version was published by Ward, Lock, and Company in April 1891. The title is sometimes rendered incorrectly as The Portrait of Dorian Gray. 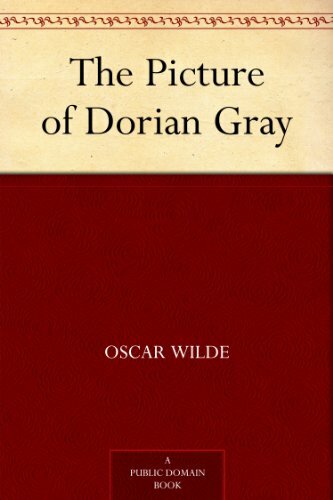 The Picture of Dorian Gray is considered a work of classic Gothic horror fiction with a strong Faustian theme. I found it extremely difficult to rate The Picture of Dorian Gray, probably the most difficulty I've had with any other book. It was too fine a work to claim I "didn't like it." Too bold to claim it "okay." I settled on "liked it" by default. I found the characters flippant, the "friendships" damning and the confessions of love frivolous. This book is a character study of human shallowness (as was likely the author's intent.) Although perfect in his youthful beauty Dorian Gray was flawed horribly and too easily influenced. So much so his entire demeanor is horribly changed by his association with Lord Henry Wotton and Basil Hallward. Dorian claims Lord Henry's constant epigrams (for example: Because you have the most marvellous youth, and youth is the one thing worth having.) "cut life to pieces", and that a book Henry gave him "poisoned him." Yet, he called him friend. The painter, Basil, felt so inspired by Dorian that he claimed the picture of him to be his finest work. The picture of youth for which Dorian sold his soul. The town of Lunacy, Alaska, was Nate Burke's last chance. As a Baltimore cop, he'd watched his partner die on the street - and the guilt still haunts him. With nowhere else to go, he accepts the job as chief of police in this tiny, remote Alaskan town. Aside from sorting out a run-in between a couple of motor vehicles and a moose, he finds his first few weeks on the job are relatively quiet. But just as he wonders whether this has been all a big mistake, an unexpected kiss on New Year's Eve under the brilliant Northern Lights of the Alaskan sky lifts his spirits and convinces him to stay just a little longer. Meg Galloway, born and raised in Lunacy, is used to being alone. She was a young girl when her father disappeared, and she has learned to be independent, flying her small plane, living on the outskirts of town with just her huskies for company. After her New Year's kiss with the chief of police, she allows herself to give in to passion - while remaining determined to keep things as simple as possible. But there's something about Nate's sad eyes that gets under her skin and warms her frozen heart. And now, things in Lunacy are heating up. Years ago, on one of the majestic mountains shadowing the town, a crime occurred that is unsolved to this day - and Nate suspects that a killer still walks the snowy streets. His investigation will unearth the secrets and suspicions that lurk beneath the placid surface, as well as bring out the big-city survival instincts that made him a cop in the first place. And his discovery will threaten the new life - and the new love - that he has finally found for himself. 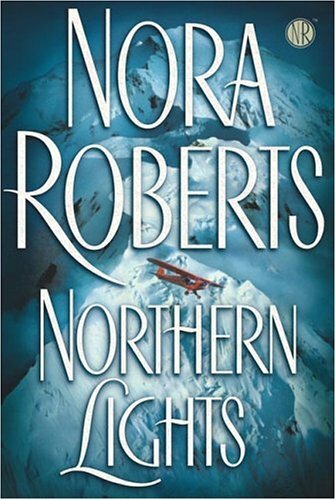 This was one of Nora's books worthy of another visit (I read it as a new release in October 2004). Introductions were made. The scenes set up. The chemistry obvious. She didn't spend too long on any one aspect of the story. It got interesting really quickly and moved along at a quick pace. As always, her hero and heroine were impressive. Her brief but plentiful descriptions of the majesty of Alaska help set the stage for a first rate story! YOUR FAVORITE BAKED GOODS—AS DELICIOUS AS EVER. In the first year, after receiving this book as a gift, I've made 20 of the 100 recipes. The results of those recipes have all been amazing! Ms. Holechek offers some invaluable information, tips, and suggestions. I also like her difficulty rating system for each recipe. I've found the book's scale of 1 to 4 whisks extremely helpful when allotting time to prepare a recipe. Her instructions are easy to follow and the results are delectable! If you're dealing with certain allergies, as I am, this book can be great. If you need dairy or egg free, this is a great book to start with. Someone have a peanut allergy? I substitute soynut butter for the peanut butter in the recipes with tasty results. 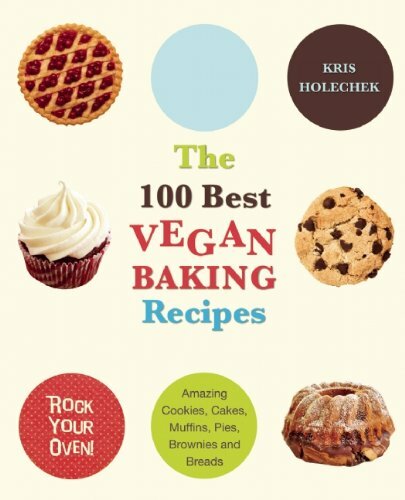 I wholeheartedly recommend this book to anyone who likes to bake with positive results—vegan or not.